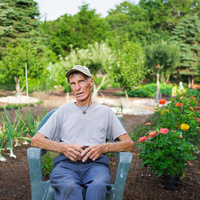 Learn ways to develop nourishing soils as well as tips on growing beautiful vegetables on Martha’s Vineyard with Paul Jackson. All are welcome to attend, and there will be lots of opportunity for questions. Refreshments will be served. This event is organized by the Green Team at the First Congregational Church of West Tisbury. The Green Team will be offering a series of environmental programs at the library throughout the winter and spring.